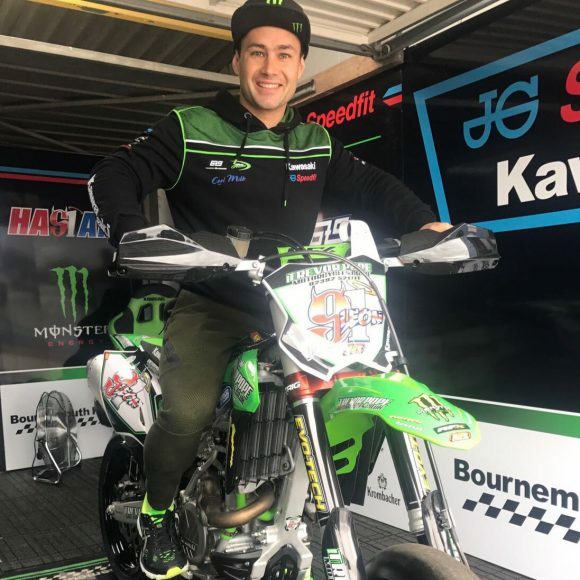 Known for being a big fan of all forms of two-wheels, Kawasaki British Superbike rider Leon Haslam’s latest venture is Supermoto and, as a result, the latest addition to his garage is a Supermoto spec Kawasaki KX450F. The highly modified KX machine was sent to Trevor Pope Motorcycles in Gosport – an experienced Supermoto machine builder – who turned the lime green machine into a Supermoto special. Leon Haslam said: “I can’t wait to get to have a play on it! Kawasaki have been kind enough to build me a full racing bike – I’ve seen the odd picture of the bike as it’s been built but to see it in the flesh now is awesome.